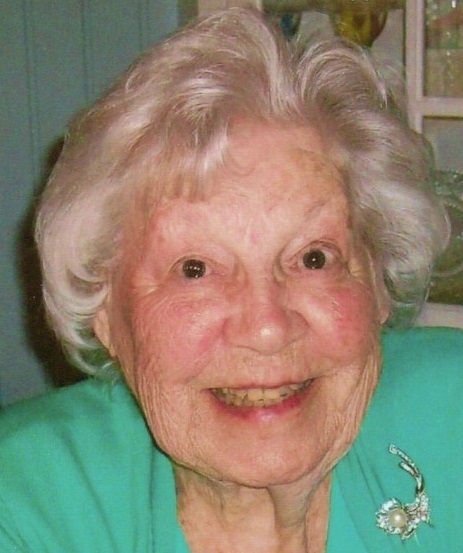 Morrissette, Jennie, R., 96, of Wampanoag Trail, Barrington, died peacefully on April 6, 2019. She was the wife of the late Edward J. Morrissette. Born in Johnston, a daughter of the late Malvin and Ella G. (McCrea) Bates, she lived in Barrington 69 years. Mrs. Morrissette was a sales associate for the Ross Simons Store in Barrington for 31 years before retiring in 2001. Jennie was a communicant of St. Luke Church, a member of the Women’s Altar Guild, and worked tirelessly on their Christmas Fairs. She also was a member of the Barrington Garden Club. Jennie was a devoted wife, mother and grandmother. She loved spending time with her many grandchildren and introducing them to her favorite vacation spot, the beaches of Cape Cod. She is survived by a son, Michael E. Morrissette and wife Nancy (Olean) of Barrington; two daughters, Lorraine E. Jenkins and late husband Lowell of Monmouth, ME and Charlene D. Smith and husband Steven of East Kingston, NH; seven grandchildren, ten great grandchildren and four great great grandchildren. She was the mother of the late Barry Morrissette and sister of the late Bertha Clemence, Alice Kaye, Grace Brown and Malvin Bates. Her funeral will be held on Friday April 12, 2019 from the W. RAYMOND WATSON FUNERAL HOME, 350 Willett Avenue, Riverside at 8:15 a.m. with a Mass of Christian Burial in St. Luke Church, Washington Road, Barrington at 9:30 a.m. Burial will follow in Forest Chapel Cemetery, Nayatt Road, Barrington. Calling hours are Thursday 4-8 p.m. In lieu of flowers donations may be made to St. Luke’s School in Barrington.